Home /Android/Best Android Application To Backup Data | Restore Data. As you all know we all needed digital devices for our day to day work and data of that work is also stored digitally. But many of us didn’t give much importance to the backup software until the disaster strike. 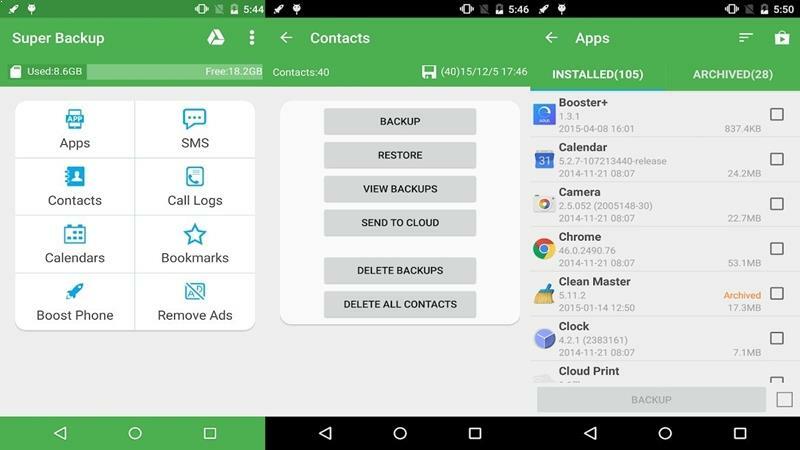 Any mishap can completely destroy our digital data so here we are brought up the list of Best Android Application To Backup Data of your smartphone. These days the data that we kept in our android device is much more essential than the phone itself. Now the disaster can strike anytime, anyplace without warning. Therefore it’s entirely necessary to do a backup of everything on your device. 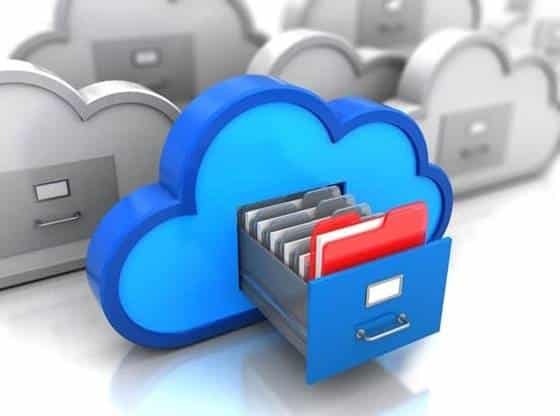 If you’re a Google Android user, then there are lots of Android backup applications which may look after your data and store them in the cloud securely. So today we are here to tell you about a few Android Applications To Backup/Restore Data. 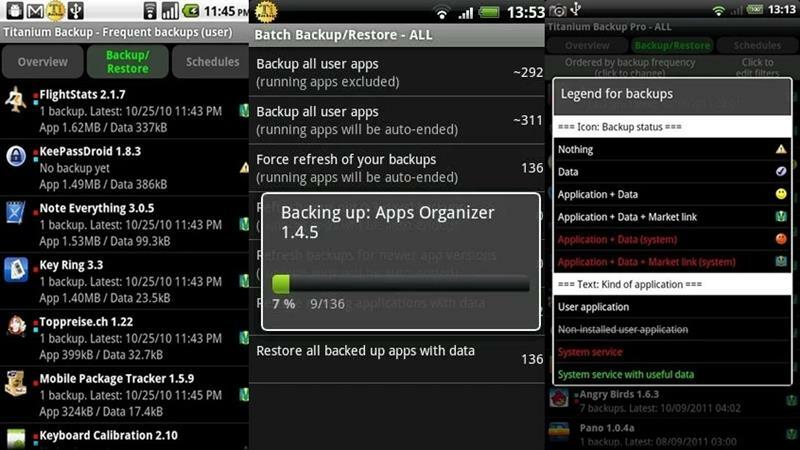 Best Android Applications To Backup/Restore Data. 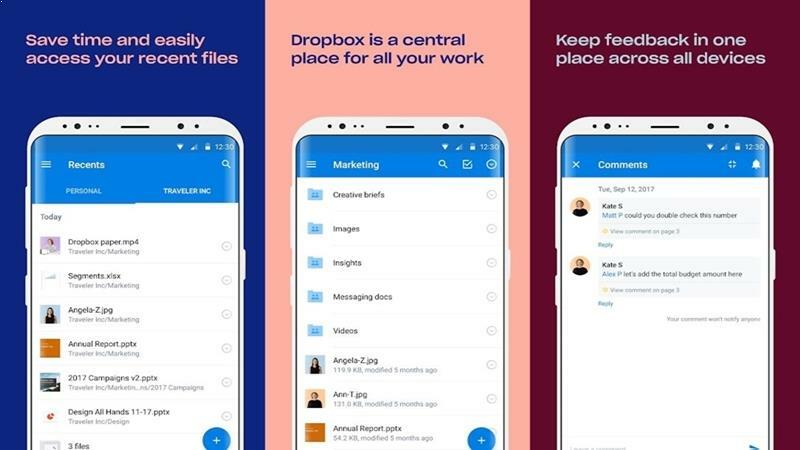 Dropbox is a creative cloud hosting service allows you to store your private data remotely. It brings all your documents together in one central place, and safely sync them across all of your devices. This app allows you to access your valuable data anytime and anywhere. It is the most trusted backup application out there in google play store rated with 4.4 stars. It is one of the best application as it permits to copy the android device completely. But one thing you need to know that this application wants a root privilege to backup and restore all your Android data. The paid version of this application is available at $5.91. Additionally, you can schedule Applications copy in a free version. This application enables you to copy all your info on your SD card and also had an option of cloud backup. The app is available for free and rated with 4.6 stars. 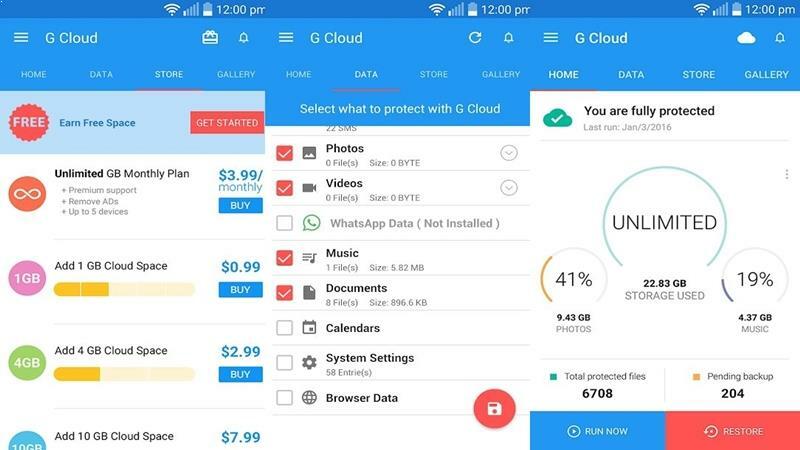 G Cloud is an impressive Android backup application where consumers will need to make an account to store the copies. It gives 1GB of the backup area for free. It enables you to save your SMS, call logs, contacts, system settings, pictures, videos, and music. You can quickly move your documents to a brand new phone and shield personal applications with a password. It doesn’t require root privileges or any distinctive configuration, and also enables copies to external SD cards. This app also allows you to automate backups and it upload data whenever there’s a Wi-fi connection. The app is available in playstore and had 4.6 rating star. App/SMS/Contact- Backup & Restore has a vast feature that will help you to backup and restore your data. It permits you to batch copy, restore, transfer, and share your applications and personal data. You can copy your files to the Google Drive or edit the backup route to store data on your memory card. It is an option for auto-backup that enables you to backup every application installation upgrade automatically. Furthermore, it’s got a virus scanning feature, APK documents scanning feature, night mode and you could sort your applications by name/date/size. The app is available on playstore and had rated with 4.3 stars. 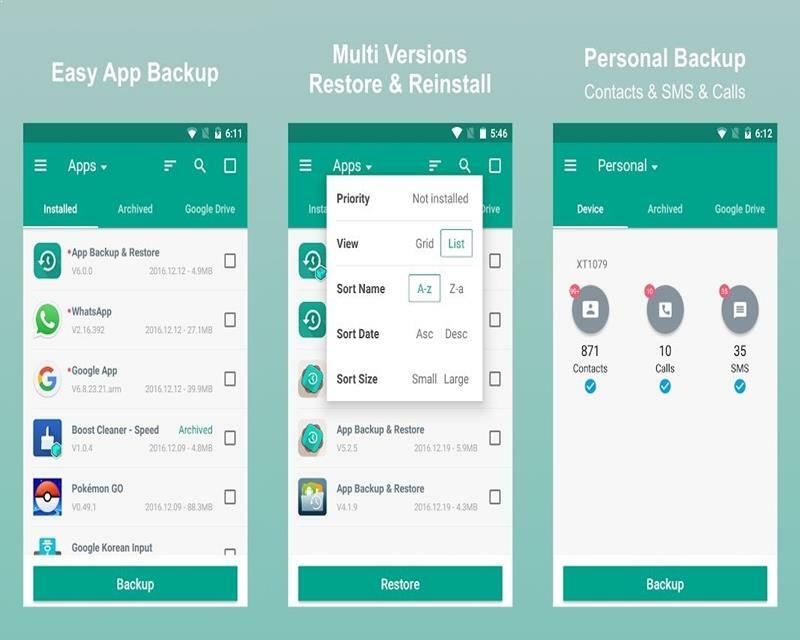 Super backup & restore is the fastest data backup and restores tool on Android phones. This freeware application permits you to copy all of your phone info. You can copy applications, contacts, text messages, telephone history, bookmarks, calendars to your memory card, Gmail, or Google Drive. This application allows for scheduling all of the back-ups of your data. Also, whenever you install a brand new application, it’ll show a message to copy the app data. The app is very much popular in playstore with 4.4 rating stars.